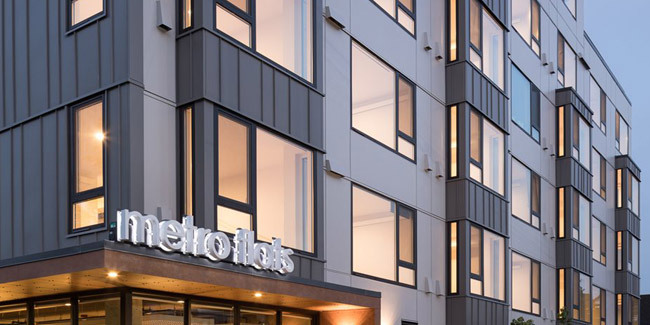 Metro Line Flats is located on a small piece of property near Harborview Medical Center and Swedish Hospital. It has four levels of wood-framing over three levels of concrete. OWP is responsible for design and installation of all plumbing systems in the apartment building including a high-efficiency central hot water heating room, re-circulating hot water system and duplex water pressure booster pump.